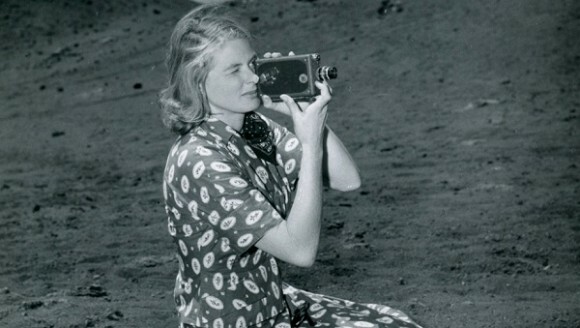 Much of Ingrid Bergman: In Her Own Words, directed by Swedish film critic and writer/director Stig Björkman, is footage or photos from either her or her family, which allows the film to branch off into a personal territory far away from similar docs about icons. As you can likely tell from its title, Bjorkman's film is a personal portrait of arguably the greatest actress to ever grace the screen. The film premiered at the 2015 Cannes film festival where Ingrid Bergman was being paid tribute. Using Bergman's own words from her diary, Björkman takes us on a decade spanning love letter to the daughter, mother, movie star, artist, wife, and woman that was Ingrid Bergman. Imagine how many words have been written about Bergman, both for her acting and personal life. It would seem the only that have not been seen said about her are her own. Björkman's film uses close family and acquaintances to tread beyond her written word and find out who she was underneath her public facade by those that knew her best. The family reunion of interviews from Ingrid's first daughter Pia, and her three Rossellini children, Isabella, Ingrid, and Roberto, offers personal anecdotes that accent the home videos and applaud her bravery and free spirited determination. The film is less an exploration of the screen star's life and more a celebration and ode to her as a person. It's never critical with Bergman as a subject and focuses almost solely on her personal life with her children and husbands in a positive manner. As a cinephile and massive fan of the actress, I was in love with her diary and personal portfolio of photos and film glistening on the screen while also being slightly disappointed in the narrow focus of the doc that left out her working methods and glossed over her work with Alfred Hitchcock, Roberto Rossellini and Ingmar Bergman. Her time as queen of Hollywood in films like Gaslight, Notorious and the almighty Casablanca are left as mere mentions. But what Björkman has created is still undeniably moving and offers insights into the actress and her strong independence that still feels ahead of it's time. For fans of Ingrid Bergman, and cinema itself, the behind-the-scenes footage and photos are rare personal glimpses into a woman and era of film that is as legendary as Hollywood's dream factory has ever been. The film has two gobsmackingly powerful moments that are startlingly beautiful bookends. The first is Ingrid's first Hollywood screen test where she simply sits and looks around before finally smiling at the camera. The second is towards the end of the film where a much older Ingrid stares directly into the camera in silence. They're remarkable, almost ethereal moments. The first capturing her unparalleled charm and the second ripping away the facade to show us the person we've spent the last two hours learning about. The glimpse we get into her time as a Hollywood star is merely quick, but beautifully rich stock footage, and while the peek into her personal life is delightful, it's not entirely satisfying. As a huge fan of queen Bergman I couldn't help but desire to find a deeper entry point beyond the reminiscing and celebration. But what the film lacks in objectivity it makes up for by channeling Bergman's charm at full force. The film does reach greatness for a few scenes when Michael Nyman's incredible romantic score coats the home movies and photos to create an almost impressionistic portrait. I was reminded of the opening credits of Days of Heaven, though here its title is Days of Ingrid. In these moments we learn, feel and understand more about her than any of the diary or interviews. Björkman's love letter is hardly the final word on the legendary icon, but it's overwhelmingly charming and I suspect there won't be many films this year that have as much passion for it's subject as Ingrid Bergman: In Her Own Words. Ingrid Bergman: In Her Own Words. Sweden 2015. Directed by Stig Björkman. 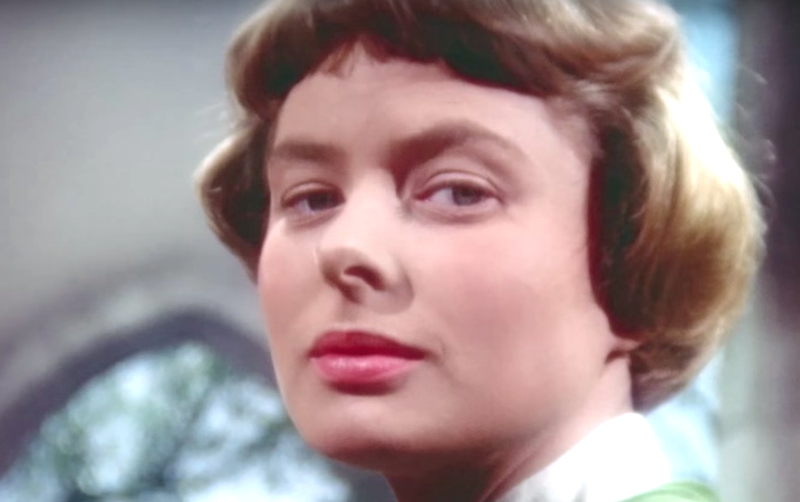 Ingrid Bergman: In Her Own Words screened at the Cannes Film Festival last year. It is currently out in cinemas in the USA, no UK release date has been announced yet.